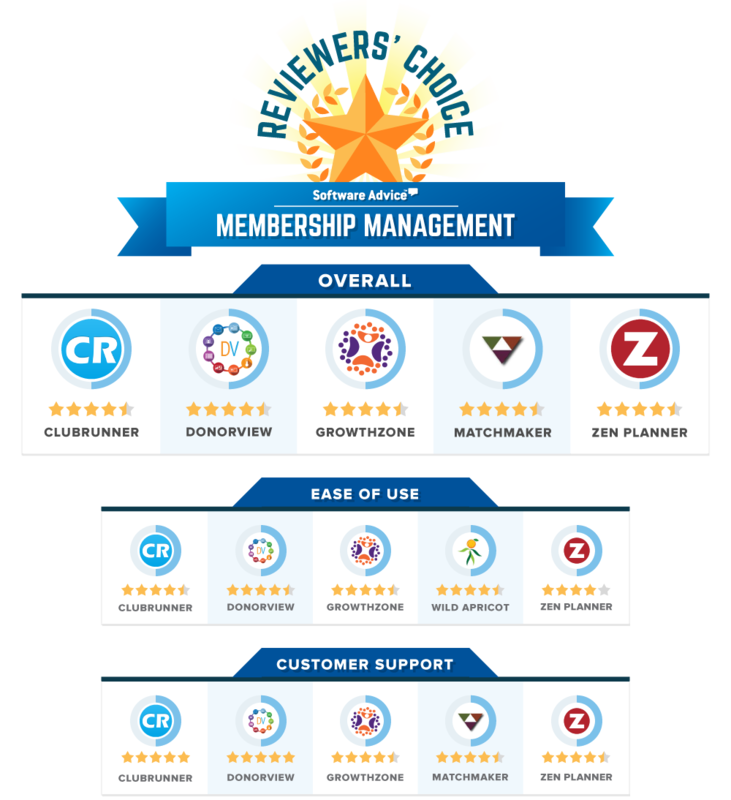 Thanks to the support of our customers, we're proud to have received the Reviewer's Choice Award for Membership Management Software by Software Advice, the leading software directory that connects clubs and associations with software services. "ClubRunner is the software of choice for more than 5,000 organizations worldwide." says Sarah Asterbadi, CEO of ClubRunner. "We work relentlessly to empower our customers with the tools they need to support and grow their membership, and reduce the administrative workload. We aim to continue providing the most innovative set of solutions that will lead to better engagement, improved workflows and ultimately, the growth and success of our customers. It is an honour to have been given this recognition by our customers, and I sincerely thank our entire ClubRunner community for their continued support". Membership management software offers a range of functionalities, however, to be considered for this award, the mandatory features that the nominated software solutions must have been able to offer included a membership database, dues management, payment processing, communication tools and basic reporting. ClubRunner goes beyond these features with modules to not only boost public relations, but also to help manage applicant tracking, events registration, committee organization, volunteering opportunities, attendance tracking and much more. An integrated platform in every sense, ClubRunner truly provides the most value to organizations looking to make an impact. Click here to read what our customers are saying about ClubRunner. For larger associations with more demanding needs for membership structures and custom configurations, our sister product MemberNova is the Association Management Software platform that offers the most modern, comprehensive suite of engagement software, community forums, and dues renewals automations, for the modern association. Visit www.membernova.com to learn more.